The flat-less tyre for wheelchairs. The Marathon has become the absolute benchmark for puncture-resistant pneumatic tires on wheelchairs. The SmartGuard protection belt is made from a proportion of recycled natural rubber. 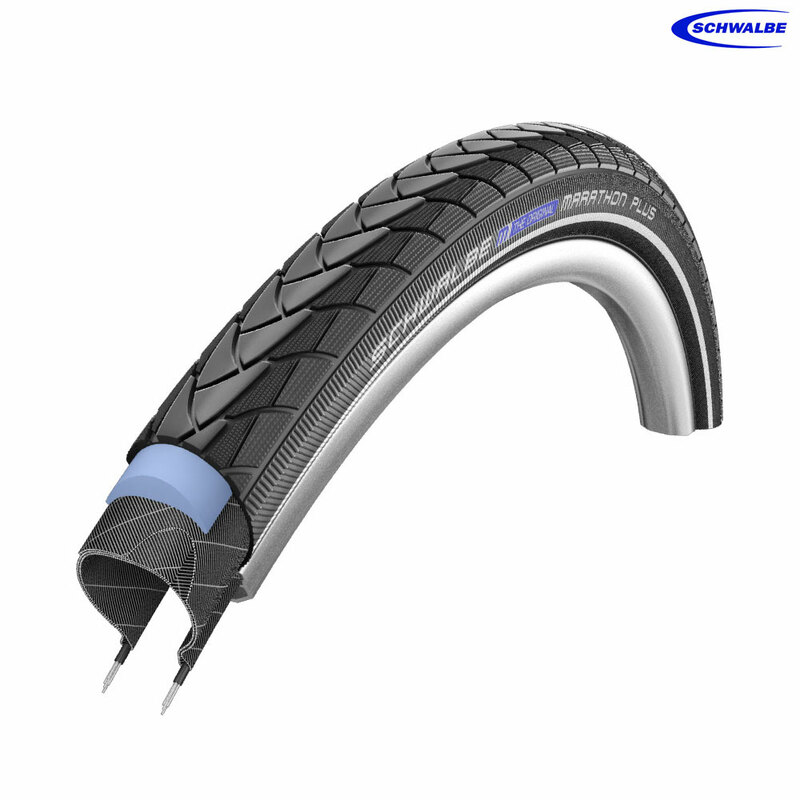 The "anti-aging" sidewall construction can withstand typical overloading caused by low inflation pressure for much longer. Note: Use a pressure gauge to adjust tyre pressures as the common 'thumb check' is insufficient due to the special construction of the Marathon Plus.